A LIMITED EDITION OF THE BLIND CHICKEN T-SHIRT IS AVAILABLE! 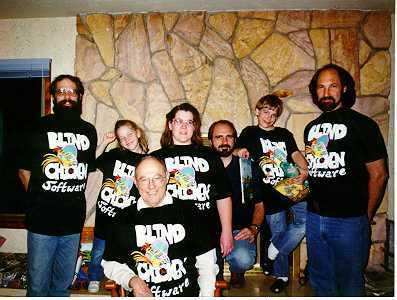 To order, email tshirts@blindchicken.com, or call Blind Chicken Software at (503) 644-6106, ext. 100. Specify size Large or X-Large. Price: $15.00 plus $4.00 postage and handling.